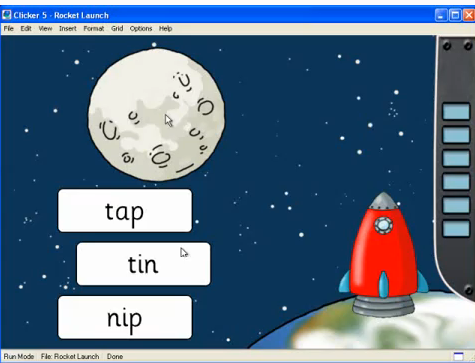 Years ago the computer program Clicker was one of the key computer tools used for Whole Language activities, because it allowed teachers and therapists to create arrays of words and pictures, which learners could then click on to produce text. We used Clicker a lot with students with physical disabilities who couldn't hold a pen or operate a standard mouse and keyboard, but could use things like specialised keyboards and switches. 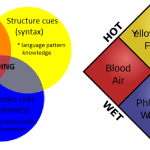 However, it's really much better to teach children phonemic awareness and spelling pattern knowledge, if they are cognitively able to learn them, regardless of their physical abilities. This allows them to assemble their own words, and not be stuck with the words someone else chooses for them. So I haven't looked at Clicker for years. I was thus delighted to discover that Clicker now has a phonics version, called (drum roll) Clicker Phonics. From what I can glean from the internet, parts of it give a good introduction to rhyming, sounds and letters for children in kindergarten and Grade Prep (the year before school and first school year, if you're not from Victoria, Australia like me), and possibly slightly older struggling learners. I think the most useful ones are the ones called Rhyme Time, Sounds and Letters, and Read and Write, but let's have a look at them all, and you can make your own mind up whether any of them suit your learner(s). I don't know of any scientific research that supports the idea that getting children to listen for a cow's moo or a train's whistle or a bear playing the drums directly benefits their future capacity to hear sounds in words. However, I guess it helps to reinforce the concept, and practise the skill, of listening for a specific sound. If you think a preschooler can already do this (e.g. they can listen for the doorbell, the phone or a car pulling up outside), you might want to skip over these first two CDs. These CDs are very British – lots of double-decker buses, cockney fruit vendors, etc, but I guess English-speaking children around the world have already met these on TV, in movies and books. 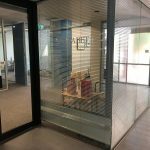 They have well-organised vocabulary and simple, child-friendly activities that require children to listen and follow instructions/activity rules, which I guess arguably could help their language, attention control, memory or other school readiness skills. However, you don't really need to use a computer to build very young kids' language and associated skills – they can do this very well in activities like imaginative play, preferably with siblings and/or friends as well as adults. This also provides them with social skills practice and physical exercise. If it's done outside, kids also get bonus Vitamin D.
So perhaps just use computer programs like these to work on language and cognitive skills if a child doesn't have other, less sedentary and more social alternatives. You can find short videos about these CDs on YouTube: for Sounds Around click here, and for Noisy Bears click here. This skill is very definitely one that matters for beginning readers and spellers. Children starting school with the ability to generate and detect rhyme and identify same and different sounds (e.g. do "mummy" and "music" start with the same sound? What about "cup" and "hat"?) are well-placed to make a flying start on literacy. The first CD in this pair is called Rhyme Time, and it looks really terrific – well-designed, simple, child-friendly activites that work both on the ability to generate and detect rhyme. You can have a look at a video about it by clicking here. The second CD works on first-sound alliteration (Kenny Koala is kind etc), and it's good to choose activities like these carefully. Too often the designers of such activities are far too focussed on letters, but not really thinking about sounds. 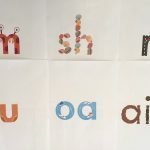 This leads them to create activities where the letter A represents ants, armadillos, apes, auks, Airedales and amoebas, leaving children totally confused about what sound(s) are represented by the letter A (a as in ant? ar as in armadillo? ay as in ape? au as in auk? and so on). I can't see any evidence on the internet that this CD falls into this trap, but I can't say for sure it doesn't. The learners I work with tend to be older than Grade Prep, and often already know one sound for each letter, they just don't know much about sounds or letters beyond that. So I think I'd probably skip the second CD of this pair, and go straight on to the next CD. 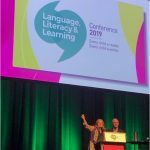 But if you're thinking of getting it for a preschooler or Grade Prep who is still learning basic one-letter-one-sound relationships, you can have a look at a little video about it by clicking here. The first CD of this pair is called Sounds and Letters, and introduces sounds and letters in little, manageable bunches, then quickly starts putting them together into easy little words. The sounds are crisp, the graphics are nice, and there are simple computer games with monsters, rockets and prizes, opportunities to record your own voice, and all sorts of other nice-looking stuff. Just a few minor quibbles: the CD talks about 42 sounds, whereas I think it's more useful to talk about 44 when learning about spelling. 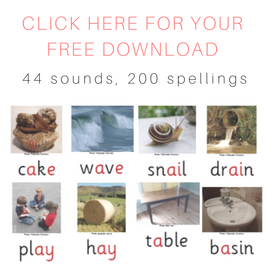 It quickly introduces consonant blends and thus four-sound words, which could be a bit too hard for some children, who need to consolidate two and three-sound words first. I also don't think there's much evidence to support a sound-counting activity in the absence of letters. The CD includes a nifty opportunity to test whether spelling patterns have been internalised by writing "monster words" i.e. nonsense words, which let you know whether a child can generalise a pattern they've studied to new words. So this CD looks pretty good to me, but you can check it out yourself on YouTube by clicking here. One for my wish list. The final Clicker Phonics CD is called Read and Write. Again, sounds and spellings are presented in little bunches, but this time each activity has two stories and some reading and spelling activities organised along decodable books lines, plus some comprehension questions. So the second CD also looks great to me and goes on my wishlist, but again, please have a look at it for yourself on YouTube and make up your own mind by clicking here. 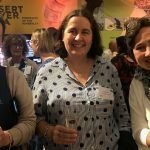 Having worked for many years with children with physical disabilities, one thing I really, really like about Clicker Phonics is that it can be operated via a touchscreen or one or more switches, as well as the standard computer mouse and keyboard. This allows a child with a physical disability to independently operate the same software as all the other kids in their class. Which matters a lot. 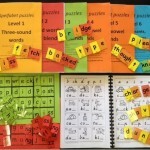 This entry was posted in blending and segmenting, Fun, phonics activities, phonics games, reviews, sound-letter links, teaching strategies on February 28, 2013 by alison.